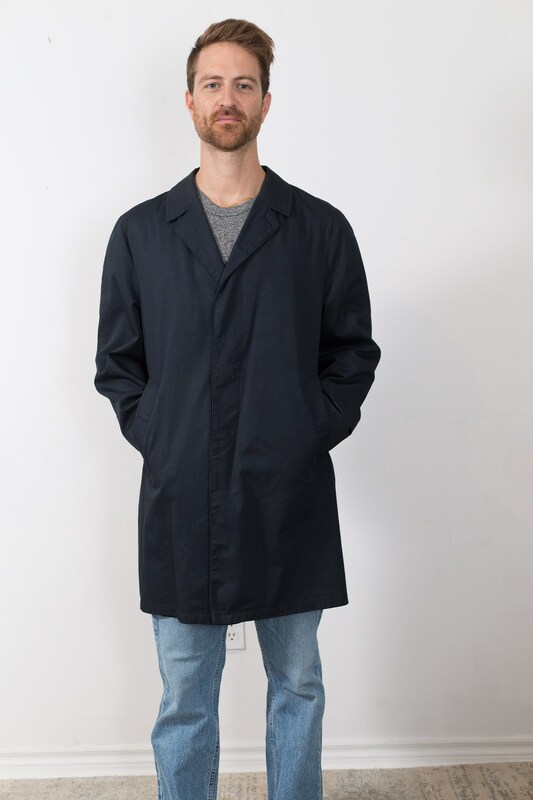 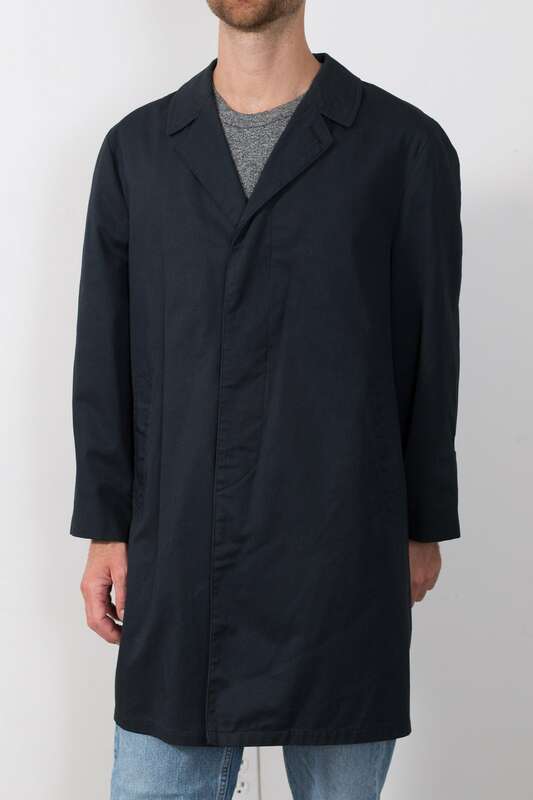 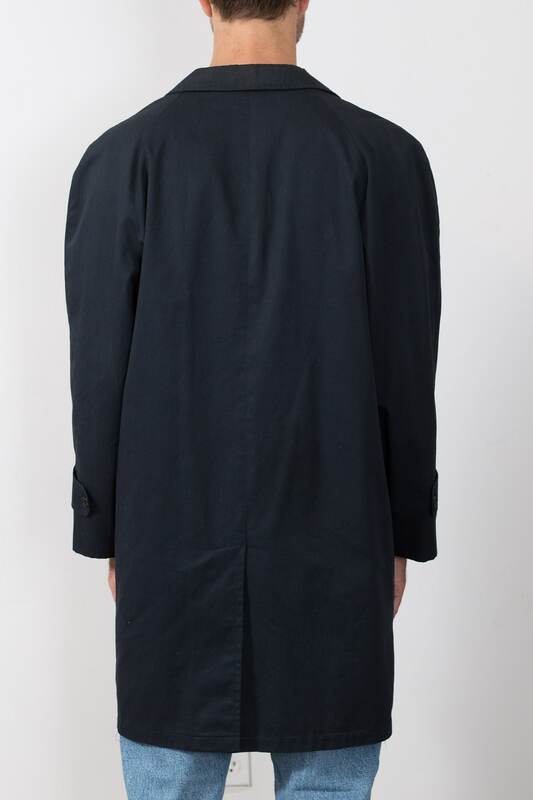 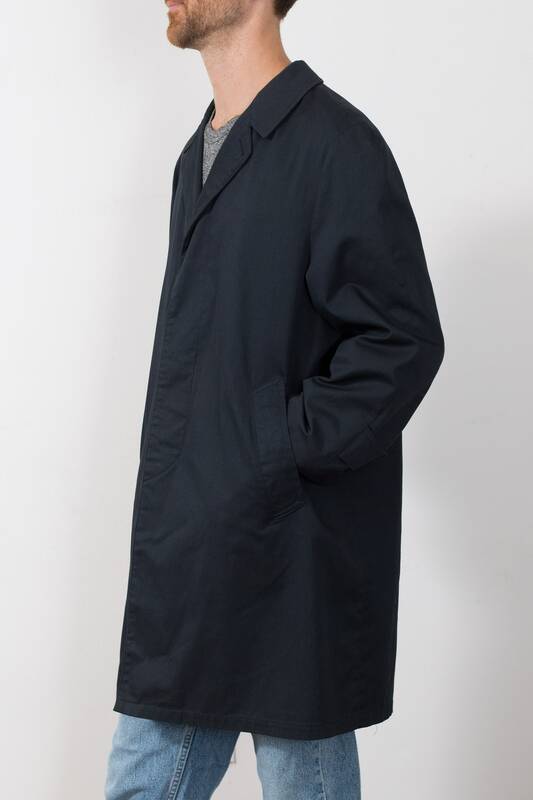 This is a stylish vintage dark blue lightweight men's overcoat that is ok to wash in a washing machine. 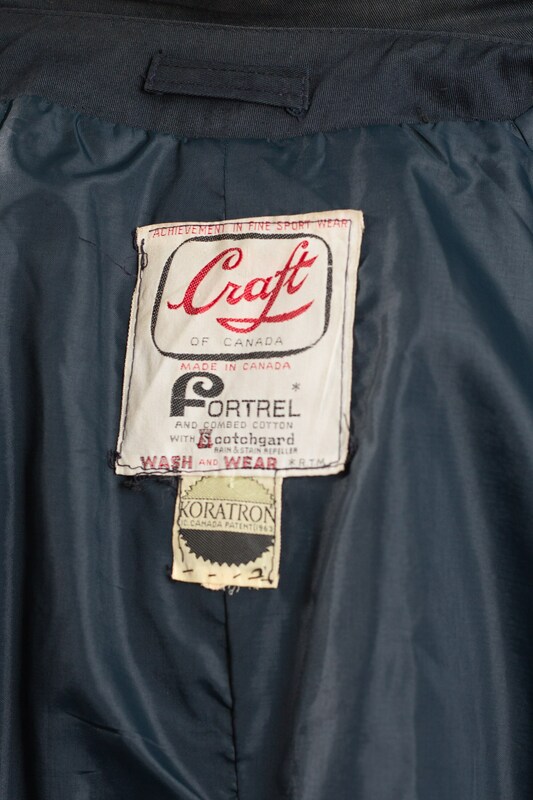 Brand: Craft of Canada (circa 1960's). 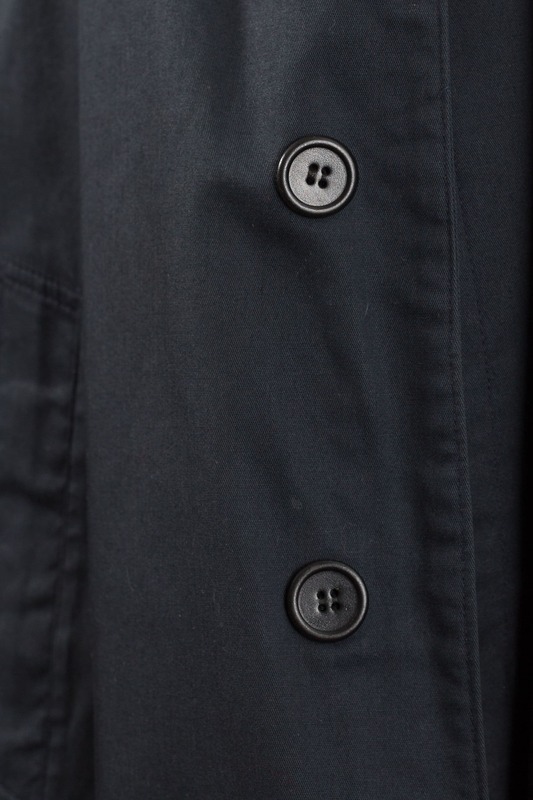 Material: Fortrel and combed cotton with catchguard rain and stain repeller. 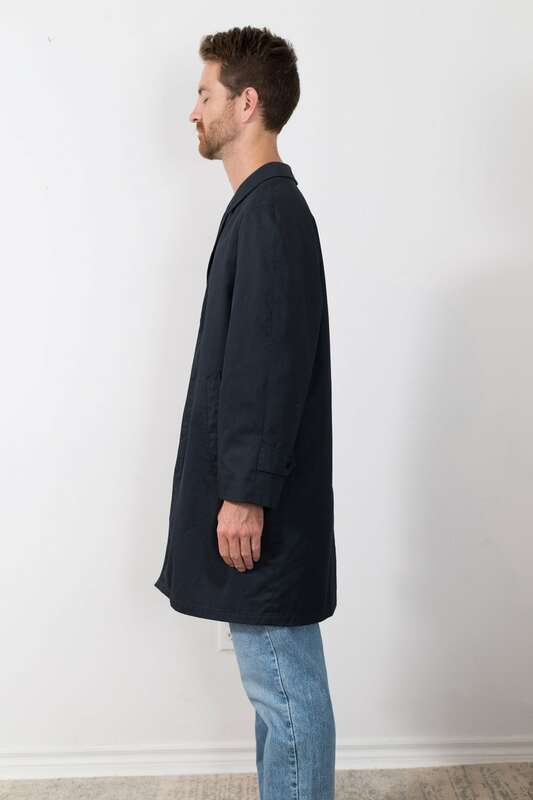 Length from neck seam to bottom of sweater: 36"